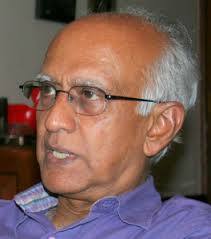 I first learnt about Dr Mathai Joseph (MJ) some 7 or 8 years ago. An article he had written on the nature of innovation in the IT industry popped up during an internet search. From what I remember of this article, he had argued that innovation in the software services industry was application and customer-oriented and therefore not like conventional R & D. At that time MJ was the director of the Tata Research Design and Development Centre (TRDDC) at Pune and I could sense from the article that he had more than the average IT company manager's insight into the dynamics of innovation. So, when Sanjiva Prasad, a good friend and distinguished professor of computer science at IIT Delhi, recently introduced me to MJ and suggested that he send me a copy of his new book, I was quite excited. 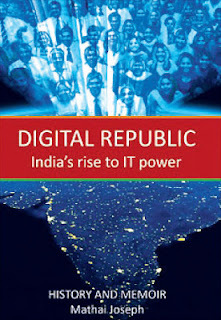 Particularly by the title: Digital Republic: India's Rise to IT Power. At the same time I also wondered what fresh insights he had to offer - after all, the success of the Indian software industry (and its limitations as well) have been studied from every imaginable angle. Once the book arrived, a part of the mystery was solved. "History and Memoir" is the second sub-title of the book, at the bottom of the cover, just above the author's name. MJ got into computer science somewhat by accident, it appears, after he completed his MSc in Physics in Bombay and entered a newly-founded programme at Cardiff. The enthusiasm of the faculty there rubbed off on him, and by the time he finished this Masters course, he wanted to learn more. He was admitted to a PhD programme at Cambridge where he worked with some giants in the then fledgling field. I found the section where he describes how his supervisor allowed him to find his own feet and interests, and yet guided him gently to enhance the rigour of his work a wonderful lesson in socialization into the research process. This section also brings out how the pioneers of computer science and engineering strove to shape their discipline into a more scientific one. This would be useful reading for any research-inclined computer scientist even today. After completing his PhD, MJ moved back to India to work at TIFR. MJ harbours mixed feelings of this period - pride from some significant achievements, but also rancour from the refusal of the "pure" scientists at TIFR to give computer science its due. This dissatisfaction ultimately led MJ to seek greener pastures at Warwick University. He clearly enjoyed his time there even though he now had to teach large classes and contend with the university bureaucracy. I didn't, however, get a sense of what was distinctive about Warwick - in engineering and management it is known for its strong application orientation and corporate relationships but I couldn't make out whether this held true for computer science. After a decade at Warwick, MJ returned to India to head the TRDDC which was being seen as an important R&D backbone of TCS. Over the years, several prominent Indian researchers have made TRDDC their home - EC Subbarao, doyen of Indian materials science is one, Keshav Nori, a prominent computer scientist is another. MJ's account suggests that his role was to bring more focus to its activities, and in particular to align it with the business of TCS. He also enhanced the research depth. But I was hoping to learn more from this book about what TRDDC really does, and what it should be doing in the future. I was disappointed by a lack of in-depth discussion of this. In fact this leads to my major grouse about this book. It’s long on charming memories of MJ's life, but short on details related to the book's title. MJ is a good raconteur and I can see that his interest in poetry and literature right from his college days have had a positive impact on his ability to tell a good story. 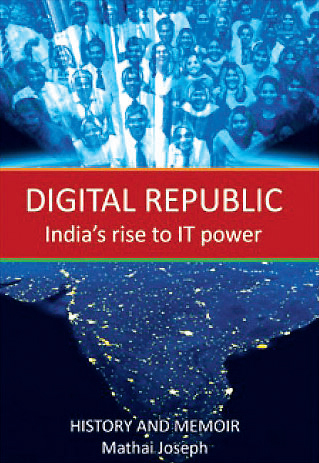 But his observations on the IT industry in India provide few fresh insights. India's failure to understand the true potential of computers; restrictive policies on imports; and waking up late to the importance of software - all of these have been documented extensively and well elsewhere. I really hope that MJ puts his powerful mind and pen to address what should be done to enhance research and development in computer science and information technology across academia, industry and government in India. With his unique set of experience at TIFR, Warwick and TRDDC/TCS, I can't think of anyone more qualified to do so.